Composer-producer William Perry has played a major role in the revival of interest in silent films, both through his more than one hundred silent film scores and through his Emmy Award-winning television series, The Silent Years, hosted by Orson Welles and Lillian Gish. 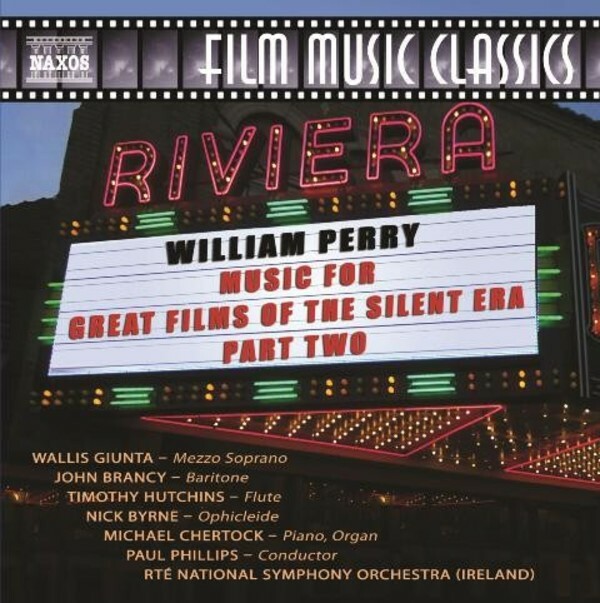 A rich array of Perry�s film music was presented in the critically acclaimed Naxos recording 'Music for Great Films of the Silent Era' (8572567). Now this companion volume offers a further view of Perry�s colourful and exuberant writing, including his new Silent Film Heroines song-suite for mezzo-soprano and orchestra, celebrating eight of the legendary actresses of the silent cinema. Perry�s supremely melodic sense of period and style captures perfectly the romance, grandeur and humour of those entertaining days.